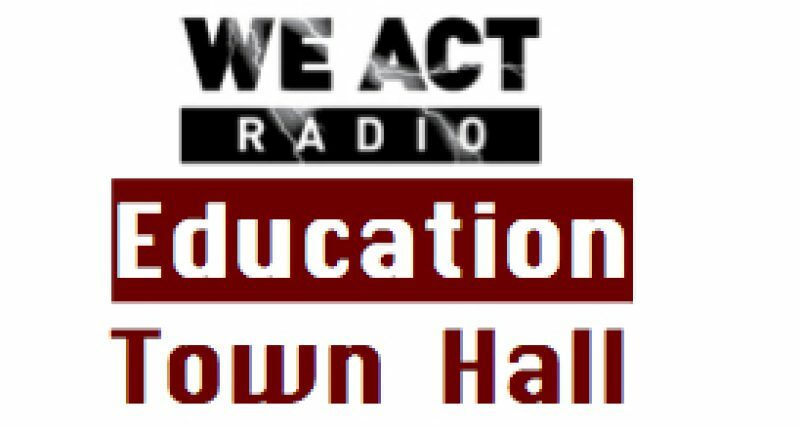 It will be no surprise to Educational Town Hall listeners that there is a pronounced racial disparity in prison rates, leaving black children seven times more likely than white children to have a parent in prison. Hispanic children experience a parent’s incarceration at a rate two-and-a-half times that of white, non-Hispanic children. For black children born in 1978, by the time they reached the age of 14, 14% had experienced a parent’s incarceration. For children born twelve years later, the rate rose to one quarter of black children witnessing a parent’s incarceration. The rate rose for white children as well – from 1% of white children born in 1978 having an incarcerated parent by the time they reached age 14 to 3% of white children born in 1990 experiencing a parent’s incarceration. Other Education Town Hall broadcasts have focused on the background behind these numbers. Search “school-to-prison-pipeline” on our website, for some related programming and suggestions for addressing some of the root causes. Meanwhile, recent studies have looked at the special needs of families struggling with prison-related stresses. And, of course, much depends on the type of crime involved as well as factors concerning homelife before arrest. Moreover, many children who experience a parent’s incarceration are also affected by daily crime and violence in their neighborhoods and schools. Still, statistics indicate that incarceration in the family has specific educational implications for children. Students with an incarcerated father are expelled or suspended at a rate more than five times that of their peers, for example. Children with an incarcerated parent are seven times more likely than their peers to end up in prison themselves. In DC, a local organization called Family and Friends of Incarcerated People works to avoid inter-generational incarceration. Stuart Anderson, the organization’s founder, appeared on the January 8 Education Town Hall. To help children cope with incarceration of family members in their own and their classmates’ lives, in 2013 Sesame Street introduced a muppet with an incarcerated parent and developed a related toolkit. (See Little Children, Big Challenges: Incarceration) A growing list of children’s book focus on families with an incarcerated adult.